Together with the Spitfire, the Hurricane shared honours in the Battle of Britain for fighter work. 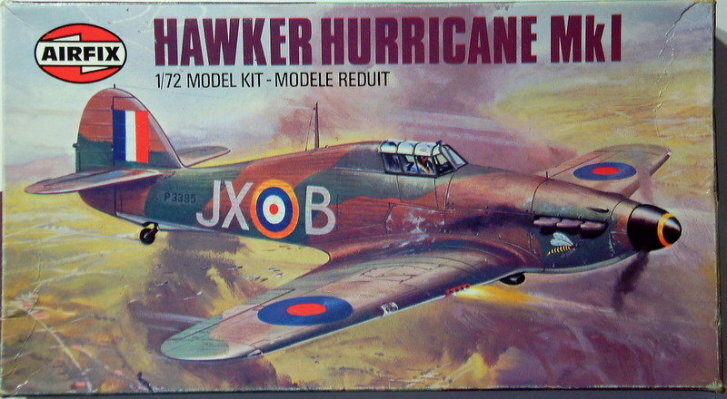 This new kit is of a Mk.1 version flown at the time of the Battle. Only listed in 1978 catalogue as 01066-3 but not issued. Available from 1979 to 1983. Reissued from 1986 to 1988. Reissued again in the "Aircraft of the Aces" series from 1988.